The legendary Mt. Arayat rises like a solitary giant over the central plains of Luzon. Long before it drew the attention of hikers, it was already popular in myth. It was said to be dwelling-place of the Kapampangan sun god, Sinukuan. Writer Alex Castro, in “Views from the Pampang”, narrates the story: “[Sinukuan] was supposedly imprisoned in a cave sealed with a “white rock” visible on the mountainside.” He was engaged on an epic battle with his rival, Apung Pinatubu, who “hurled stones” at Sinukuan. Perhaps this is actually a recollection of Pinatubo’s pre-Hispanic eruption, over 600 years ago? 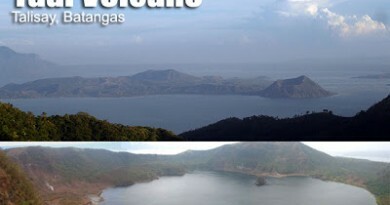 Thus, whether as a mountain of myth or a towering landmark, Kapampangans take pride in Mt. Arayat. During the 1970s, Mt. Arayat National Park was built – complete with natural pools, picnic areas, and the mountain trail that leads to Arayat’s Peak 1. Although the National Park has degenerated into a local resort, it is still the jump-off for Arayat’s Peak 1. 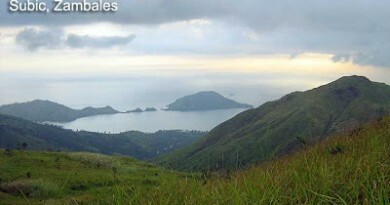 This peak has a spectacular viewdeck, where you can behold seemingly all of Central Luzon. Pampanga river meanders like a snake across the rice fields; the mountains of Zambales and Bataan come into view; so Sierra Madre on the opposite side. Meanwhile, Peak 2 can be accessed from Magalang, Pampanga. In either trails, the ‘balding’ of the mountain is evidenced by the intense heat of the sun. Still, some forests survive and therein, monkeys continue to roam free. You can hear their calls along the last leg of the trail. There are also sightings of wild boar, local civet (musang), and native birds. A separate article for this trail is under construction. NPA scare continues to scare hikers from climbing Arayat, but there is now military presence in the trails, and the last pockets of NPA resistance were subjugated in 2002. 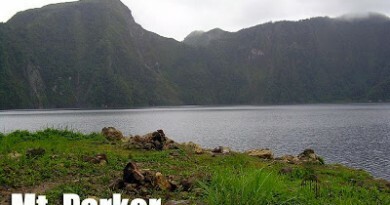 Thus Arayat remains one of the most exciting hiking destinations in Luzon. The Arayat N.P. trail has unfortunately gained notoriety for ‘extortionist’ locals who overcharge everything from entrance to guide fees. In addition they’ll even ask for a barangay fee and a parking fee. If you wish to hike Arayat via this route, anticipate these already. The guide fee is P400-500 and don’t accept anything higher than that. These charges make an Arayat trip more expensive than it should be. Even then, it is still worth climbing. Flies, mosquitoes, and other insects abound in Arayat; Off lotion is a must. Also, 50% of the time the trails have no tree cover. The itinerary above is for a daytrip but Arayat is also a good overnight destination. The peak itself is the suitable campsite, with wide spaces for tents and ample shade. At night don’t forget to guard or tent-in your belongings as monkeys might take them away. Many foreigners climb Mt. Arayat — and they pay extra. For locals, a guide fee of P500 would suffice, but for foreigners, the guides demand P1,500-P2,000. 142 Comments on "Mt. 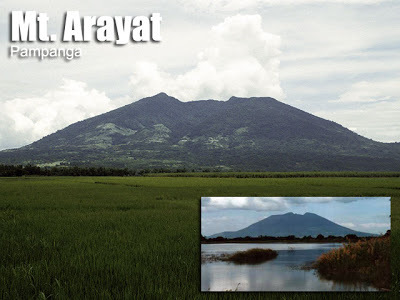 Arayat/ Arayat Trail (1,030+)"
anyone going to arayat this nov or december? I want to join po hehe. akyat po kmi s sunday sna. 2 lng kmi . .